Seamless Snowflake Pattern Pack - Free Photoshop Brushes at Brusheezy! It's almost winter and that means the snow will soon be coming here in the northern hemisphere. 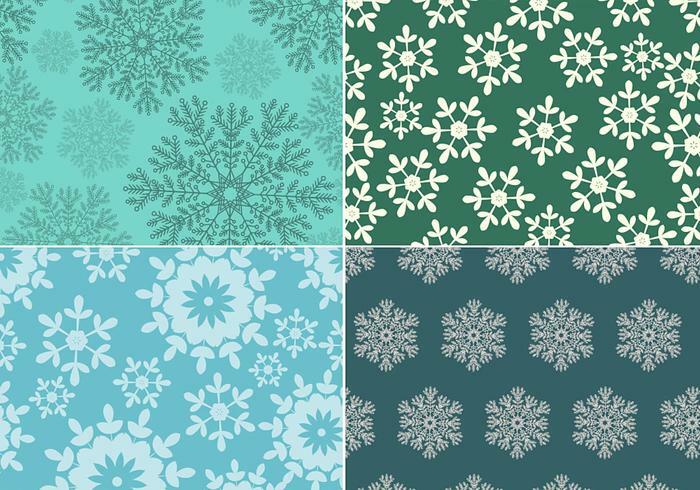 Celebrate this time of the year with this new Seamless Snowflake Pattern Pack! Included in this pack are four different blue and green snowflake patterns, each with a different style. Use these snowflake patterns and then check out the <a href="http://www.vecteezy.com/patterns/59264-seamless-snowflake-pattern-vector-pack/premium">Seamless Snowflake Pattern Vectors</a> over on Vecteezy!